I sell vintage clothing and part of my work is to research and see what’s available on the world-wide web. It’s a way of keeping abreast of my competitors and gives me the opportunity to get first pickings if I stumble upon a little vintage gem. I really did gasp with delight when I clapped eyes on my latest find! Here’s a photograph of the gorgeous blouse which I’ll be wearing with a pair of black, cropped trousers and black patent boots. I’m a disco diva! Through networking and meeting other sellers of vintage, I’ve met some fabulous people; one of those being the lovely Tara of The Dusty Dog Vintage Clothing Boutique. She really is fantastic! 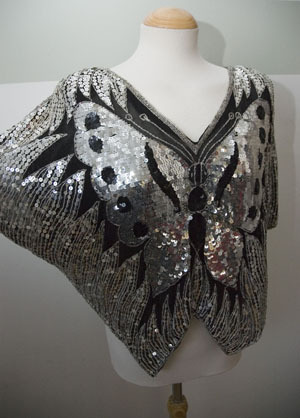 I was so delighted to find this fabulous butterfly disco blouse which was being sold by Tara—I’d been looking for one just like it for ages! What I love about Tara is her attention to detail. Not only are her descriptions and photographs lovely but my blouse arrived beautifully tissue wrapped and tied in a pink organza ribbon with card attached. My whole shopping experience was so delightful. I’ve purchased hundreds of things over the internet and, trust me, not everyone takes such care in posting items. You can click on the link above which will take you to Tara’s Etsy store, or you can take a look at her blog right here. There’s some brilliant video clips of the divine Bette Davis along with a clip of some rather outrageous dancing girls from the 1920s. It’s well worth a look, and if you purchase something from the lovely Tara, do tell her I sent you! 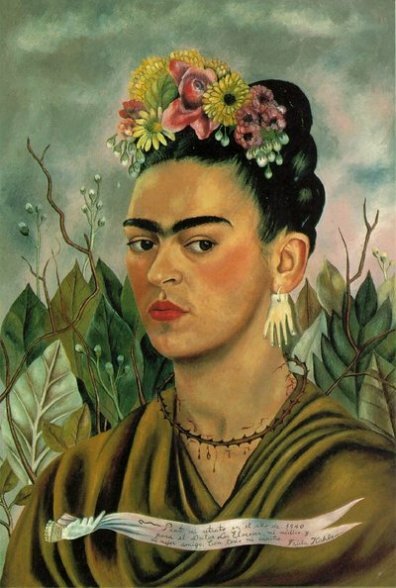 A major exhibit tour celebrating the 100-year anniversary of Frida Kahlo’s birth just closed today after stops in Minneapolis, Philadelphia and finally San Francisco, but you can still get your Frida fix, by checking this site that compiles all things Frida, including new books and shows around the world. Iceland, anyone? It may have been partially panned in the grouchy New York Times, but Marni Spring ’09, shown in Milan this past week, has been the most wonderful so far, if only for the fact that collection marched so resolutely to its own drummer. Oblivious to the chaos, fear, and financial crumblings and rumblings of the world, designer Consuelo Castiglioni paraded a cheerful pastiche of wildly mixed prints, colors and transparent layers down the runway. Throw in some black kneesocks and beyond-chunky platforms, and you’ve got a look that sparkles in a season that so far seems to be bland, at best. Thank you, Consuelo, for reminding us that fashion is fun. Take a look here. 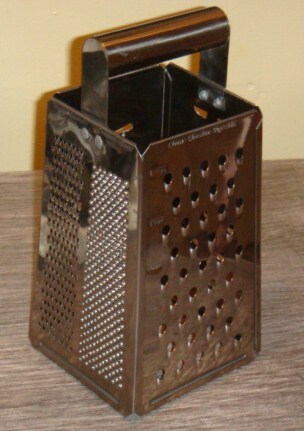 Except for grating, I love everything about preparing food: from looking for recipes in my cookbooks to setting the table. Hopefully, I’ll be a good teacher for you because I relish every step—although I do run the risk of nauseating you with my enthusiasm. And because I am so detailed about it, I also run the risk of making cooking sound much more complicated than it is. Contrary to what you see on cooking shows, where all they do is cook, there are many steps to preparing a meal. 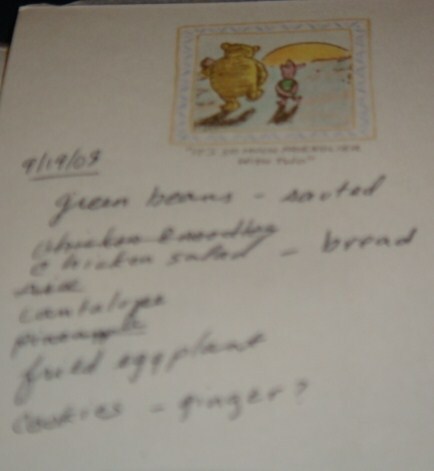 There’s planning, researching, shopping, getting the kitchen ready, prep cooking, cleaning up after prep cooking, cooking, cleaning up after cooking, serving the meal and cleaning up after the meal. Although not always possible, cooking is at its most “magic” when you can isolate that one step from the others. The more you serve meals, the better you will be at this. I am sure that those of you who prepare meals several times a week for a family are better at this than I am; and I am sure that I am better at this than an 18-year-old living in a college dorm. Make a puzzle game of it. First, think about the general composition of the meal in terms of nutrition. Also, if one dish you are serving is particularly high in fat, try to have raw fruits or vegetables as a balance. Usually color is a good guide for nutrition. If you serve several different colors or foods in your meal, you will likely have a nutritionally balanced meal (isn’t that cool?). Another thing to consider is what ingredients you have on hand. Be sure that you use those green beans that are about to go bad. One more thing to consider is preparation. Think through which pans you’ll use for each dish and try to avoid having to wash a pan in the middle of cooking. These are the things that take time. You’re buzzing along in the kitchen and you realize that you need the pan you just used to make a sauce for the vegetables to make the rice. You have to stop what you are doing, find a container to store the sauce in and wash and dry the pan, before you can start the rice. Another component of planning is to never plan more than one dish that you’ve never made in a given meal. You really never know where the trouble of a certain dish is going to show up until you make it. Finally, plan no more than one item that has to be cooked precisely right before it is served. Cooking shows make it look easy to talk while you are cooking and do several things in the kitchen at once. It is not. The people on those shows are either professional cooks or professional actors or both. What they do is highly scripted. Don’t hold yourself to that unrealistic standard. To many, the mark of a “good” cook is that he or she doesn’t use recipes. I’ll agree that the Italian grandmother who has been cooking for her extended family for fifty years probably doesn’t use recipes. But the truth of the matter is that, in America, at least, most of us just aren’t that good at cooking. We don’t have the same “feel” for food that the Italian grandmother does. Also, we are used to a much wider variety than you would expect in an Italian kitchen. We expect to make an Indian feast one week and a pasta casserole the next. I use recipes for such common foods as deviled eggs, sloppy joes and chicken salad because I don’t have an instinctive feel for how to make them. The only reason I don’t use a recipe for vinaigrette salad dressing is that I memorized it a long time ago. The really good cooks in America, the ones who really have a “feel” for food, are mostly found in professional cooking jobs, like cookbook writing. By tapping into that expertise, my sloppy joes that taste the way I expect sloppy joes to taste. Something else that is great about using recipes from cookbooks is that, usually, the recipes have been tested and are consistently notated. One method that is popular for finding recipes these days is to search the internet. Be careful about this, as the recipe may or may not be accurately recorded. The internet is a great source for ideas, but not a reliable source for precise recipes. The major exception I make to this is when I see preparation of a dish demonstrated on a cooking show and I go to the website of that cooking show to get that recipe. 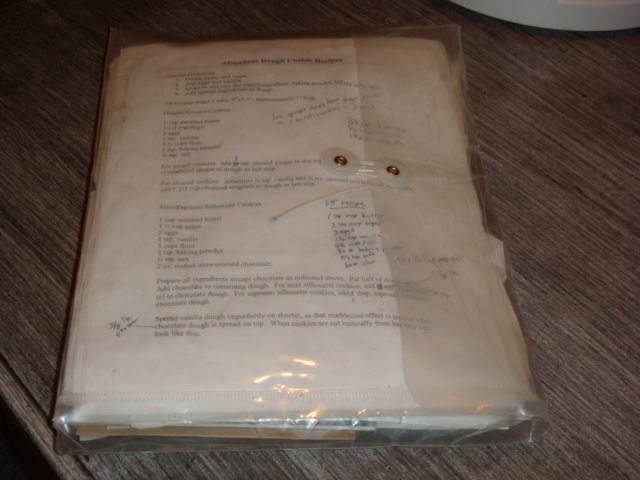 I print it out; make notes on it while I cook; and if it works well, I put it in my “recipes that work” file. I assume that you’ve been doing your daily housework tasks, so your kitchen is reasonably clean and your counters are clear. The first thing to do is get all the recipes you intend to use in the kitchen. Read them over and over again. Think about what utensils you are going to use and make sure that they are all clean. Like many people, I have favorite knives. When I am about to cook, the first thing I check is that I know where those knives are and that they are clean. The next step I learned from Rachel Ray. (By the way, what she (supposedly) can do in 30 minutes, takes me at least an hour—she never has to wash vegetables!) Put a bowl for garbage on the counter where you will be working. If you go to stores that stock Rachel Ray cookware, there will be large plastic bowls for sale called, “garbage bowls.” That’s crazy. You don’t need to buy a special bowl for your garbage! Any large lightweight bowl will do. 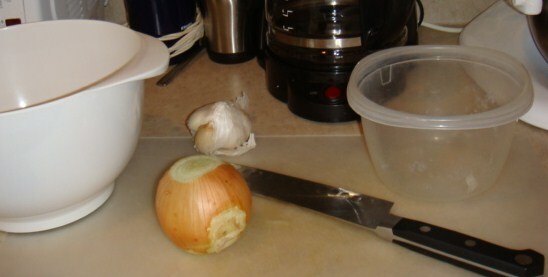 In my kitchen, the garbage pail is less than two steps away from the counter where I do most of my food prep work. You would not think it would make much of a difference for me to have a garbage bowl on my counter, but I was shocked at what a HUGE difference it made. I use my garbage bowl for all of my garbage, including packaging. If you compost, you will probably want two bowls: one for compostables and one for other garbage. Next week we will talk about prep cooking, which includes chopping and preparing ingredients. But there is one last step to getting your kitchen ready, and that is getting out the containers where you will store the things you chop until you are ready to use them. That way you can really get a rhythm going when you start to chop. Chop, chop, chop. Throw the ends in the garbage bowl. Put the chopped celery in the plastic container to use later. Angel McKenzie isn’t your average Roots-Rock and Soul singer. She has a mission in her music, specifically to use her songs as a vehicle to spotlight poverty and hunger with her AMcK Initiative. Musical activities include staging benefit concerts/food drives, where the audience comes out to enjoy great music in exchange for food donations. After each show the collected food is turned over to a local food rescue agency for distribution to the needy. That officially makes Angela a beautiful person inside and out. Check out her soulful music here. Girl Alert! Super-talented Aussie designer Suzie Kondi is cleaning house and having one amazing sample sale. Her entire collection, including bags, belts and ready-to-wear will be available, plus her complete vintage collection, a masterpiece wardrobe accrued over 20 years and global travels. As Suzie says, “There is soooooooo much and loads of designer vintage. Really beautiful stuff.” The sale will be held in Brooklyn’s hip DUMBO area at 66 Water Street, Loft 2D on Saturday, September 27, from 11 a.m. to 5 p.m. For more info, call 917-415-6613. To see Suzie’s gorgeous ’60s- and ’70s-inspired designs, click here. If you want to see wire crochet jewelry taken to a whole new level, check out the creations on Miriam Grafer’s blog. Even more amazing is that fact that Grafer runs her business from a boat! “We bought a boat about 6 years ago and spent 2 1/2 years working on it. It is big enough to live on and we have been doing that for the last 2 1/2 years. We travel on the eastern seacoast, in the south in the winter, and we go back home to New York in the summer.” What a life, right? And that joy is certainly reflected in her intricate jewelry. To see more, click here.